Burnaby Transit Centre is a transit center and a bus depot located in the Vancouver suburb of Burnaby, B.C., Canada. This picture was sent in by an anonymous contributor. He writes: "Enjoy your website, very fascinating! "[This is] the best shot I could get as they are nestled behind 2 sets of lockers. 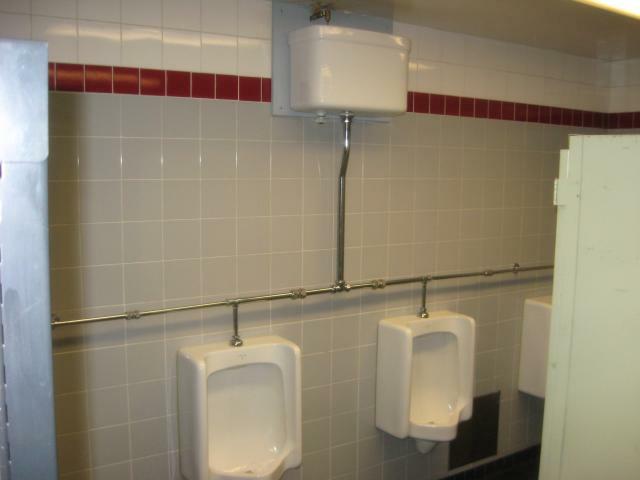 The urinals are wall mounted Crane's with the porcelain high tank. The automatic syphonic flush is every 10 minutes, 24/7."